Make an impression with your employees and clients by hosting your important meeting in one of our exceptional spaces. From strategic planning meetings to client cocktail receptions, the Paine offers an exceptional setting to help you make a great impression. The new Conservatory provides dramatic, year-round meeting space for large groups, and the adjoining Carriage House offers a charming space for smaller meetings and gatherings. The venues allow for flexibility in the set-up to accommodate meetings and events of many sizes and needs. The Paine provides a seamless event experience with appropriate tables, chairs, china, glassware, flatware, and technology included with your meeting or event rental. 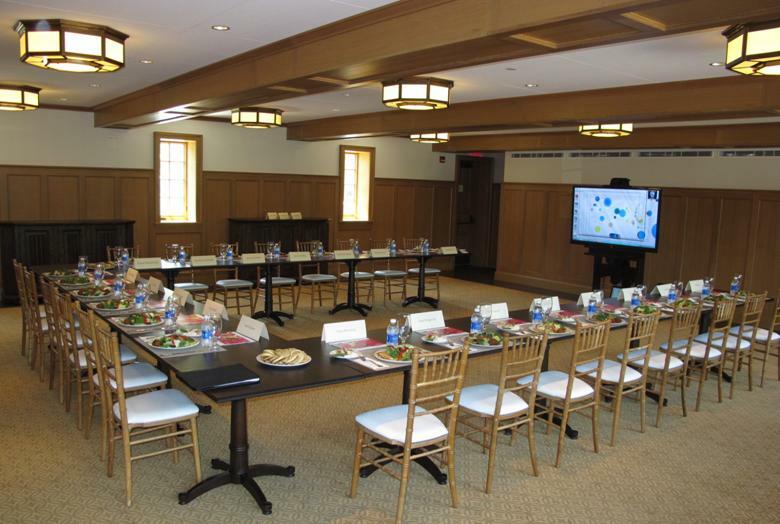 The Paine offers private and flexible venues to fit a variety of meeting needs for groups ranging from a dozen to two hundred. The primary meetings spaces, the Conservatory and Carriage House, each offer especially memorable and flexible settings. Technology is available, including Wi-fi and a large flat-screen TV for presentations. Appropriate tables and chairs can be set-up with endless configurations to accommodate your meeting requirements. Mansion and exhibition tours can be arranged to enhance the quality of your experience. Whether it’s a cocktail reception, a holiday party, or retirement celebration, our English-inspired Conservatory, charming Carriage House, and ornate Mansion provide impressive settings for unique and memorable corporate events. 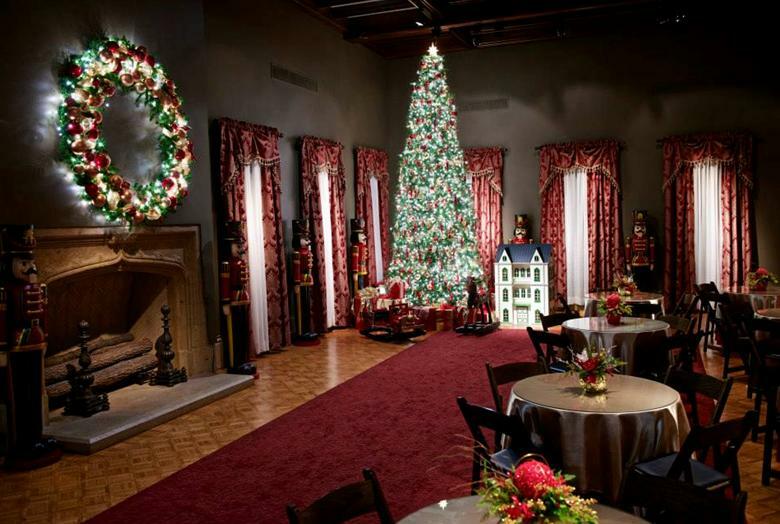 During the holidays, celebrate the season with your employees, colleagues and clients amidst the spectacular backdrop of the Paine’s Nutcracker in the Castle. Your guests will enjoy an unforgettable, private holiday party amidst the fantastic scenes of the beloved story. In September of 2017, Laura Rommelfanger joined the Paine’s staff as our new Director of Events. In this role, she oversees all events on the historic property, including weddings, special occasions, and corporate meetings. 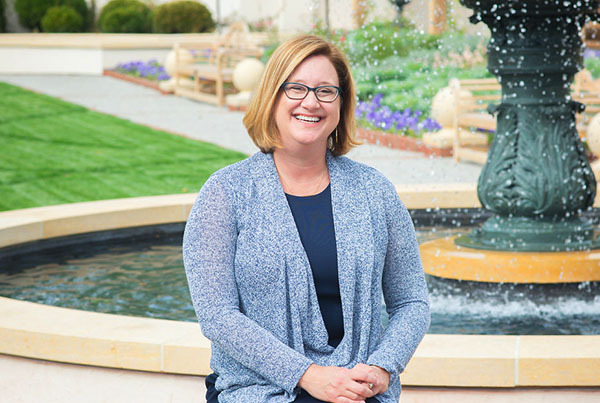 Laura has as a passion for events and hospitality, and she is eager to make sure that everyone who hosts and attends an event at the Paine has an exceptional experience here. If you’re interested in holding a private event at the Paine, please contact Laura to learn more at (920) 235-6903 ext. 27 or lrommelfanger@thepaine.org.